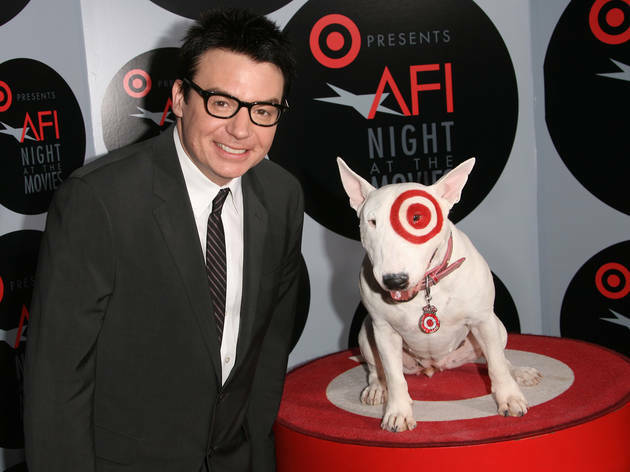 Photo courtesy Target Presents AFI Night at the Movies Mike Myers and the Target dog. 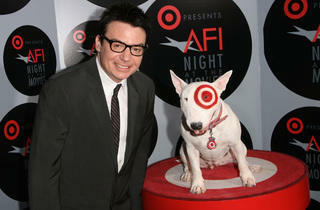 Target and the American Film Institute (AFI) have teamed up to bring a star-studded night celebrating cinema. Watch classic and fave films, each presented by a leading star such as Steel Magnolias co-presented by Sally Field and Shirley Maclaine, Shrek presented by Mike Myers and Ghost presented by Demi Moore. Tickets to each individual screening are $30 and include a large popcorn, soda and Magnum ice cream bar. Tickets can be purchased online or at Arclight Hollywood box office.